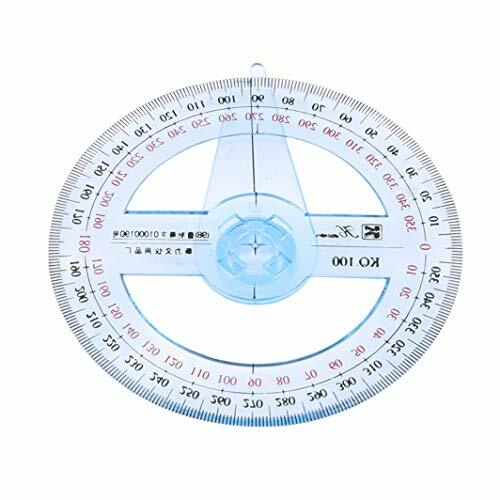 Plastic protractor is a practical learning tool as well as measuring tool. 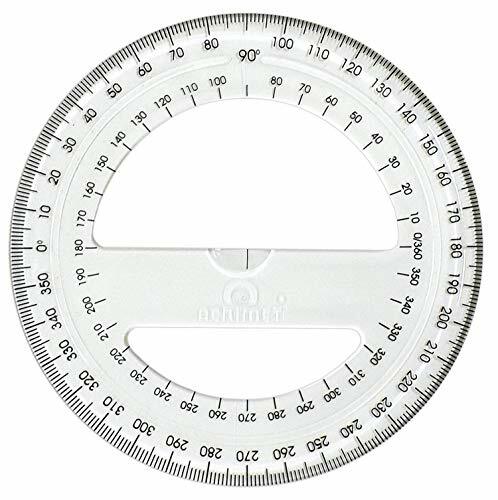 6 Inch protractor with inch and centimeter marks makes measuring easy. This protractor is transparent well and through it you can see the page. 6 Inches protractor inch marks is up to 6 inch, centimeter marks is up to 10 cm. This tool is used for plotting and reading UTM, MGRS, or USNG grid coordinates from topographic maps. 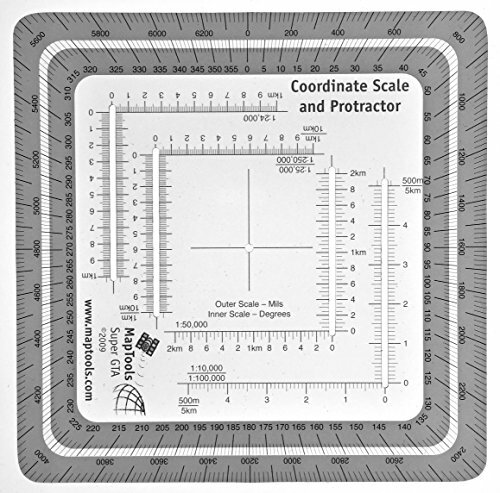 It is an improved version of the Graphic Training Aid 5-2-12 Coordinate Scale and Protractor used by United States and NATO military forces around the world. This coordinate scale offers significant benefits over the standard issue GTA 5-2-12. - By using a slot on one side of the tool for access to the map, the tool can be more compact than the traditional GTA tool. - The tool features several additional map scales, including 1:24,000, which is the most common topographic map scale found within the United States. - The 1:100,000 scale now spans 5km grid lines, making it much more usable. - Plus, the overall dimensions of the tool have been reduced so that it is the size of a music CD, easily fitting into a pocket or any slot where you could store a CD. - Rounded corners keep it from wearing holes in your pockets. - The inner protractor is marked in degrees and the outer protractor is in mils. - Bands of white ink are printed under the two compass roses to make reading the compass rose easier and to keep the tool from "disappearing" when you place it on the map. The tool is printed on 30 mil plastic stock with a protective coating. It is about the thickness and stiffness of a credit card. It's 33% thicker than the standard military issue version, so it's less likely to be bent or broken when you need to use it. See the photo of the tool bent almost in half with no issues. For use with UTM, MGRS, USNG or other metric based coordinate systems. The black numbers are clear and easy to identify, then you can read quickly with great accuracy. Smooth surface make it easy to put on your books, notebooks and pencil case. The plastic protractors have common size and shape, so you can applied to settle the math problems frequently. Abundant bulk, you can send them to your friends and classmates. This clear plastic protractor is thick enough, thus they are not easy to snap; With hollow center, the student protractor is easy to grip. 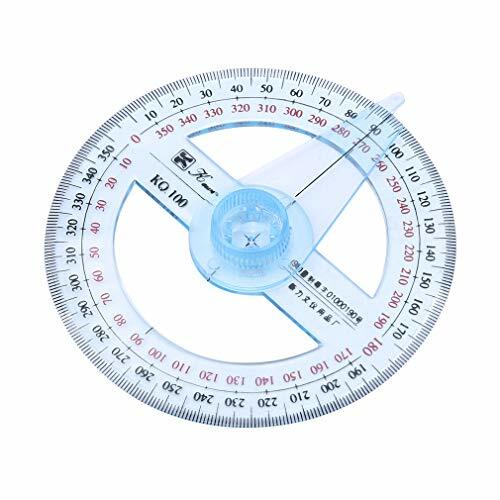 The geometry protractors are suitable for homework, technical drawing, painting, measure; Angle protractor with inch and centimeter marks makes measuring easier. 6 Inches protractor inch marks is up to 6 inch, centimeter marks is up to 10 cm. 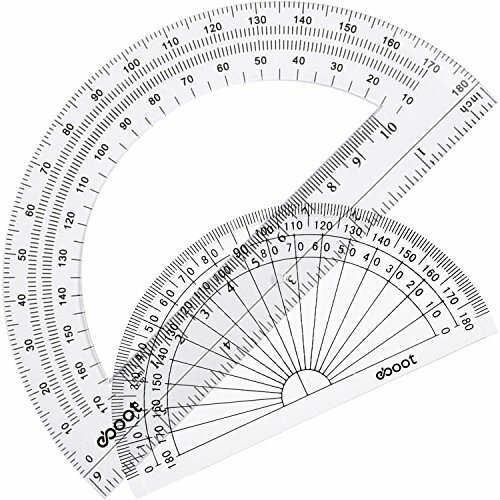 6 Inches protractor measures 0 to 180 degrees left to right and right to left. Protractor with inch and centimeter marks makes measuring easy. Practical quantity, you can leave one at home and put the other at school or office; Appropriate size to use for geometry drawing and math class. The clear protractors are suitable for painting, measure, homework, technical drawing; You can send them to your friends and classmates. You can use them to get the angle and length quickly; Easy to carry in bag, pencil case, math tool case, backpack, etc. Attention: the minimum accuracy is 1 degree. Use easily: you can use the geometry protractors to get the angle and length quickly; Easy to carry in bag, pencil case, math tool case, backpack, etc. 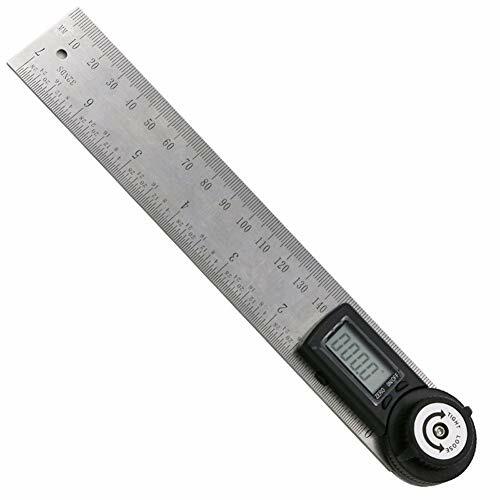 Transparent Plastic protractor is a practical learning tool as well as measuring tool.through it you can see the page, clear color makes you measure easier. Measure protractor with accurate number: the black numbers are clear and easy to identify, then you can read quickly with great accuracy. Mechanical pencil for compass with 2 mm pencil lead, used for drawing circle or circular.Made from Stainless Steel, durable and easy carry. 24 pack high quality 4 inches clear protractors are perfect for measure, student work, painting, technical drawing, graphing of engineering. Range of 0 to 180 degrees, the minimum accuracy of the angle is 1 degree and each 10 degrees have a clear line to distinguish. The bottom side length is 10 cm, 4 inch size make it easy to put on your books, notebooks and pencil case. Abundant bulk, you can make it as gifts for your kids in school, friends; Lightweight and easy to carry, not take too much space. 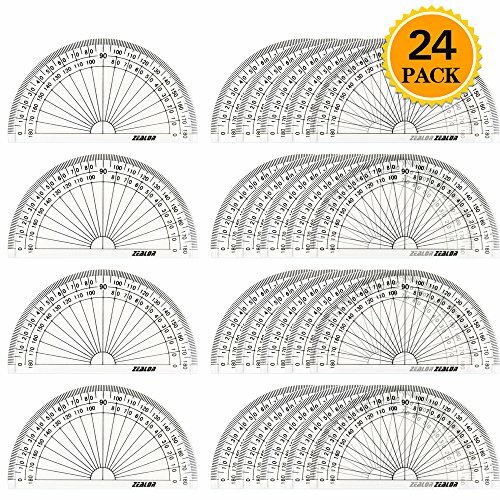 Plastic protractor set: 24 pack high quality 4 inches clear protractors are perfect for measure, student work, painting, technical drawing, graphing of engineering. Measure range: range of 0 to 180 degrees, the minimum accuracy of the angle is 1 degree and each 10 degrees have a clear line to distinguish. Easy to use: the bottom side length is 10 cm, 4 inch size make it easy to put on your books, notebooks and pencil case. 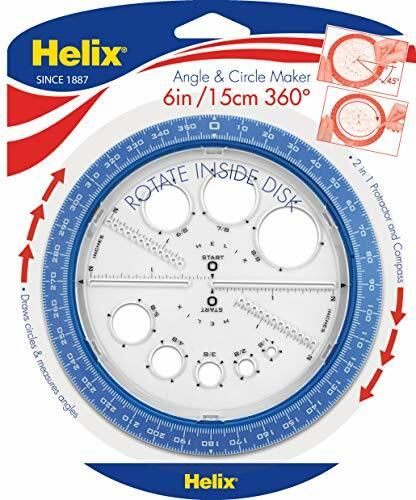 Excellent use experience: the protractor is made of high quality clear plastic which is allow you see the words, letters, and figures on page through the protractor. Great gift for kids: abundant bulk, you can make it as gifts for your kids in school, friends; Lightweight and easy to carry, not take too much space. 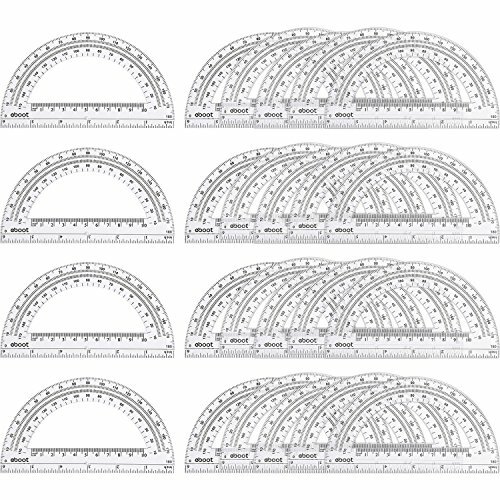 24 pack high quality 6 inches clear protractors are perfect for measure, student work, painting, technical drawing, graphing of engineering. 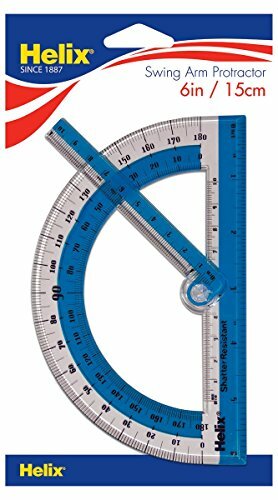 Math protractor features an open center and accurate 6 inches ruler across the base which with inch and centimeter marks makes measuring easier. 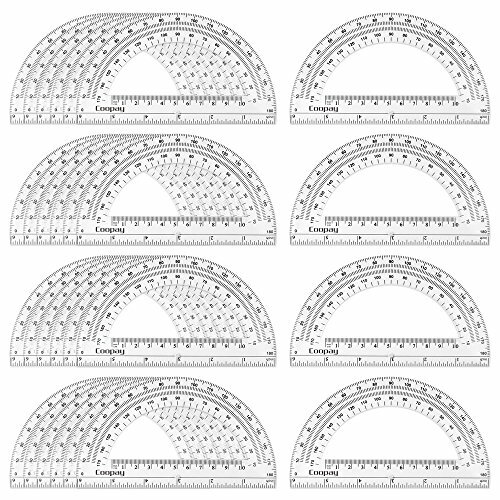 Plastic protractor set: 24 pack high quality 6 inches clear protractors are perfect for measure, student work, painting, technical drawing, graphing of engineering. 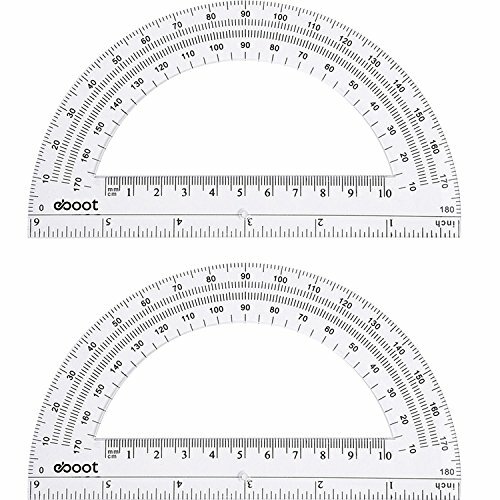 Easy to use: math protractor features an open center and accurate 6 inches ruler across the base which with inch and centimeter marks makes measuring easier. Draw precise geometric shapes with this Dry Erase Magnetic Measurement Set. These oversized tools help demonstrate polygons, circles, angles and much more. Kids from kindergarten to high school benefit from visual mathematics. These tools have a place in any classroom, anytime. The measurement tools are ideal for use on white or chalk boards! Magnets ensure these tools will stick to magnetic surfaces. For non-magnetic surfaces, the compass features a rubber foot. 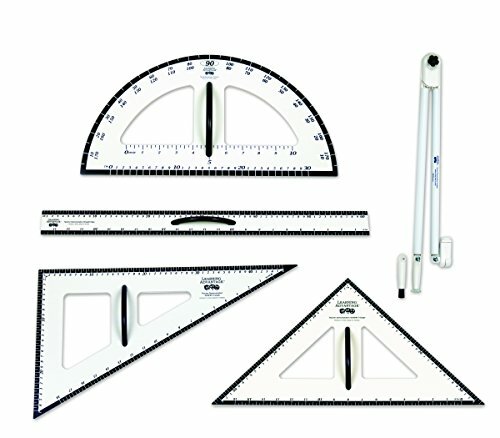 PRECISE DRAWING TOOLS -- Compasses, protractors, rulers and triangles are perfect for art that requires exact shapes. 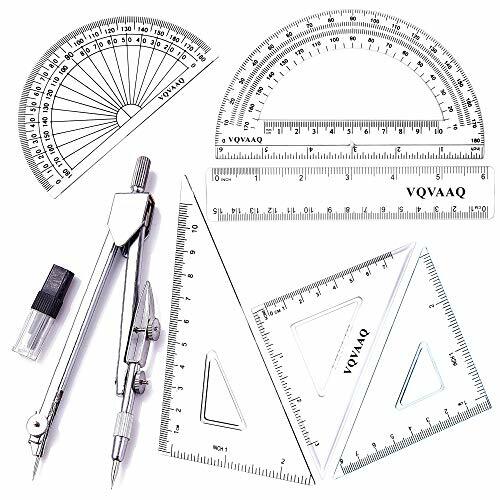 This handy, magnetic geometry tool set is ideal for art classrooms. Protractor can be as gifts for your kids in school; You can take it in your pocket or pencil case. Suitable for school learning, also a great maths tools for office and school spplies. Swing arm provides straight-edge guide for drawing angles. Unique rotating device and the transparent design always provide extra help when measuring angles. 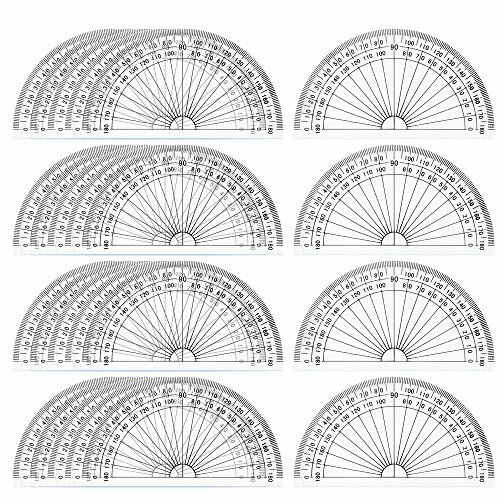 The trigonometry protractor is a necessary study tool when kids are doing the homework, it's compatible to compass, ruler, etc. Angle scale design: full circle (360 degrees). Outer numbering, right-handed from 0 -360 , inner numbering, left and right-handed from 0 -90 . Easy to use: just place onto your work area, perform the operation and then you will have your measurement. Plastic for precision,durable in use. Suitable for school learning, also a great maths tools for office&school spplies. 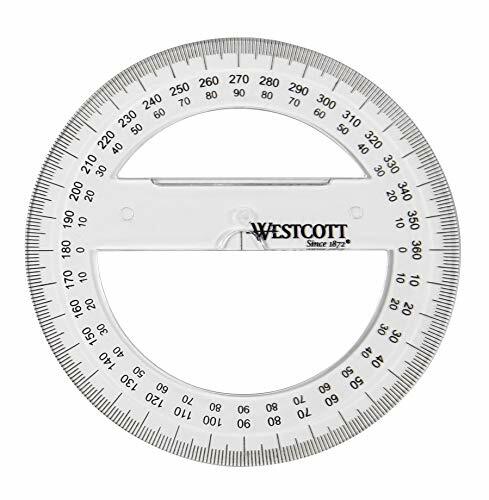 Swing arm protractor rotates 180 , helps accurately draw and measure angles. Measure angles from left to right or right to left. Easy-to-read inch and centimeter marks. 6" & 10cm ruler integrated at the bottom. Made of translucent material to easily see what you are measuring. Shatter-resistant material for safety and longer durablility. Beveled edges for easy lift and manipulation. Ideal ages, eight and up. Assorted colors (Blue, Teal, & Grey).